The passing of businessman, community leader and philanthropist George Aratani was mourned by three Little Tokyo community organizations that have benefited from his generosity and named parts of their facilities after him. Aratani passed away on Feb. 19 in Los Angeles at the age of 95. East West Players noted that Aratani and his wife, Sakaye, were major supporters of EWP’s New Theater Campaign and have been members of the EWP Council of Governors since 1996. “Mr. Aratani, along with Mrs. Aratani, are pillars of the community and avid supporters of arts and culture,” added Tim Dang, producing artistic director of EWP. “His leadership style was so calm and cool. I remember speaking with Mr. Aratani at an event some years ago as he shared some words of wisdom with me. But he wasn’t all business. We shared our love of wine, of which Bordeaux was his favorite. The Japanese American Cultural and Community Center’s interim CEO, Bill Watanabe, and board chairperson, Sandy Sakamoto, said in a statement: “The JACCC and the entire Nikkei community have lost a dear friend today with the passing of George Aratani. Certainly no other name in the Nikkei community is so synonymous with philanthropy and good deeds. Wherever one goes in the community, the Aratani name is honored and revered — not just for generosity but also for kindness and decency. “George and Sakaye have been tremendous supporters of the JACCC from the very beginnings in 1980 – and they have been there over the years through many ups and downs that is the fate of many community-based nonprofit cultural and arts programs. 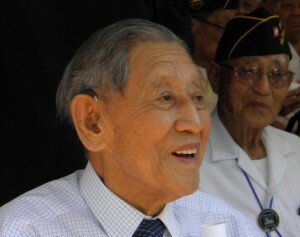 Watanabe, who previously served as executive director of the Little Tokyo Service Center, added, “In my 35 years of community involvement, I have participated in many fundraisers, and the first name to always come up for a potential donation was George Aratani – and I don’t think George ever said ‘no.’ And once the Aratani name was connected with a community event, that opened the door for many other donors to also sign on, ensuring that the planned event will be ultimately successful. The Japanese American National Museum said in a statement, “The Japanese American National Museum mourns the recent passing of George Aratani, founder of Mikasa Dinnerware and Kenwood. In addition to be being an extremely successful and respected businessman, George was an inspiration as a philanthropist and community leader. Along with his wife, Sakaye, George’s commitment to various community organizations and institutions has made a significant impact in Little Tokyo, Los Angeles, and across Southern California. “JANM is indebted to George and his dedication to ensuring that the stories of Japanese Americans are told. He was a member of the founding Board of Directors of JANM and continued to be active as trustee and governor until his passing. One of his many contributions includes the naming of the museum’s Aratani Central Hall, host to numerous gatherings for the Japanese American and wider community. “George’s generosity, through the Aratani Family Foundation, includes supporting the museum’s mission ‘to promote understanding and appreciation of America’s ethnic and cultural diversity by sharing the Japanese American experience’ through numerous exhibitions and public programs. A memorial will be held on Saturday, March 2, at 2 p.m. at the Aratani/Japan America Theatre at the JACCC, 244 S. San Pedro St. in Little Tokyo. Additional parking will be available at Hompa Hongwanji Buddhist Temple, 815 E. First St.